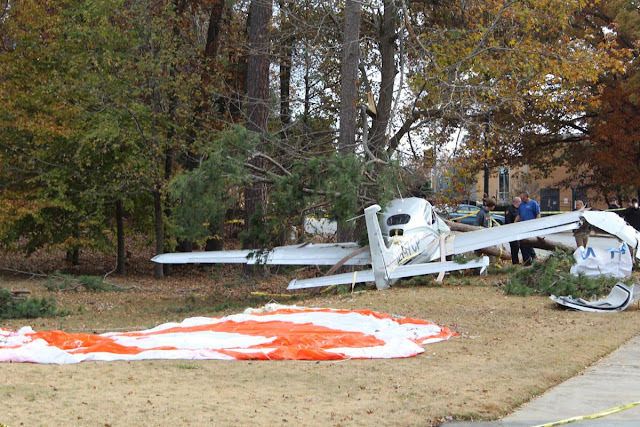 On November 29, 2018, at 1855 eastern standard time, a Cirrus SR-22, N597CP, was substantially damaged when it impacted terrain after the Cirrus Airframe Parachute System (CAPS) was deployed near Kennesaw, Georgia. 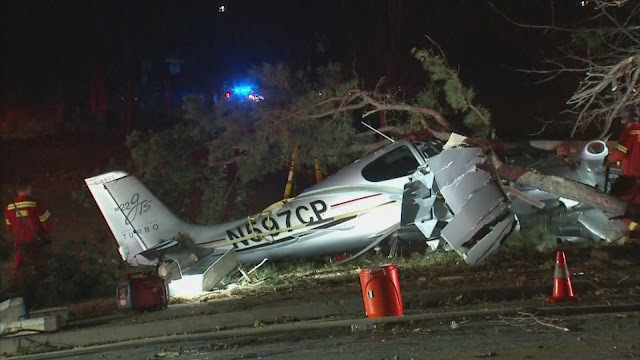 The private pilot and passenger sustained minor injuries. 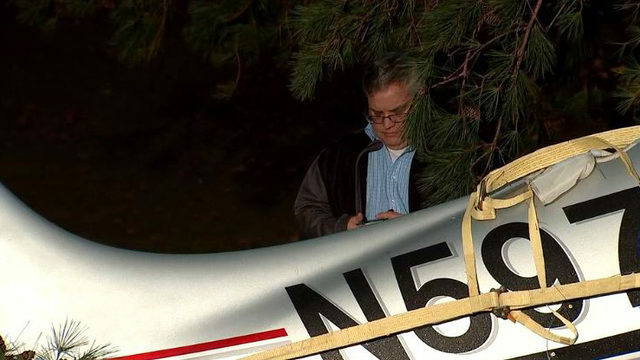 The airplane was registered to and operated by Cavern Aviation LLC. under the provisions of Title 14 Code of Federal Regulations Part 91 as a personal flight. Night visual meteorological conditions prevailed, and a visual flight rules flight plan was filed for the flight, which originated from Johnson County Executive Airport (OJC), Olathe, Kansas, about 1610, and was destined for Dekalb-Peachtree Airport (PDK), Chamblee, Georgia. The pilot reported that during the descent that originated from 17,500 ft mean sea level (msl), about 7,000 ft msl and 20 nautical miles from PDK, he felt the engine "jolt" and subsequently received a low oil pressure warning message. Prior to the notification, all engine instruments had been in the "normal" range. 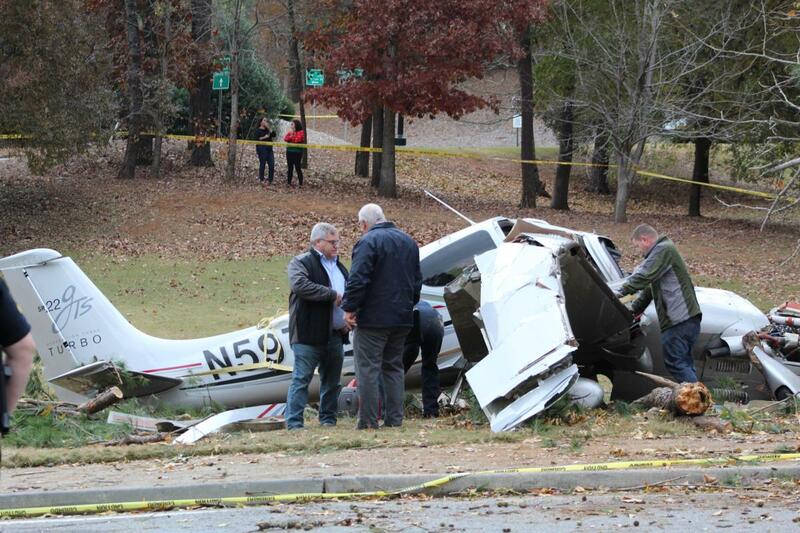 The pilot reduced the throttle and notified Cobb County International Airport (RYY), Kennesaw, Georgia, of his intentions to divert. While on an extended base leg for runway 27 at RYY, about 2,000 ft msl, the pilot experienced another "jolt" and observed sparks emanating from the engine cowling area. Shortly thereafter, the engine jolted a third time, and the pilot pulled the mixture to idle-cut-off and turned the ignition key off to shut down the engine. He reported that with no clear landing area in-sight, he pulled the CAPS and prepared for impact. 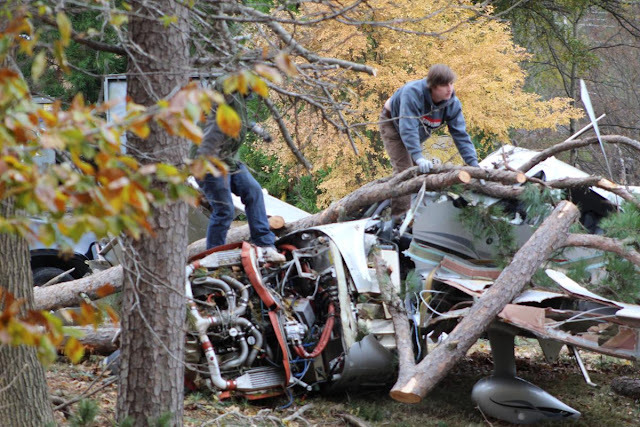 According to a Federal Aviation Administration (FAA) inspector who examined the airplane at the accident site, the CAPS had deployed, and the airplane impacted trees during the descent. The airplane came to rest upright and the fuselage, wings, and empennage sustained substantial damage. The engine crankcase at the number 6 cylinder displayed a fracture hole and the connecting rod had sheared from the upper crankshaft bearing. There was no other damage observed on the engine, nor evidence of oil spraying observed. Fragments of the upper cowling were located about 720 ft northwest of the main wreckage. 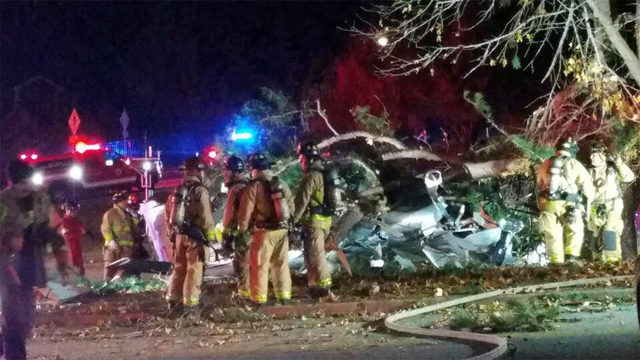 According to FAA airman records, the pilot held a private pilot certificate with instrument airplane privileges. He was issued a third-class medical certificate in January 2014. According to FAA airworthiness records, the low-wing airplane was powered by a Continental Motors IO-550-N engine equipped with a Tornado Alley Turbo turbonormalizing system. The most recent annual inspection was completed in October 2018. The weather conditions reported at 1848, at RYY, about 1.6 miles south of the accident site, included visibility 10 statute miles, scattered clouds at 4,000 ft above ground level (agl), broken clouds at 5,000 ft and 9,000 ft agl, wind 050° at 4 knots, temperature 11°C, dew point 4°C, barometric pressure 30.08 inches of mercury. 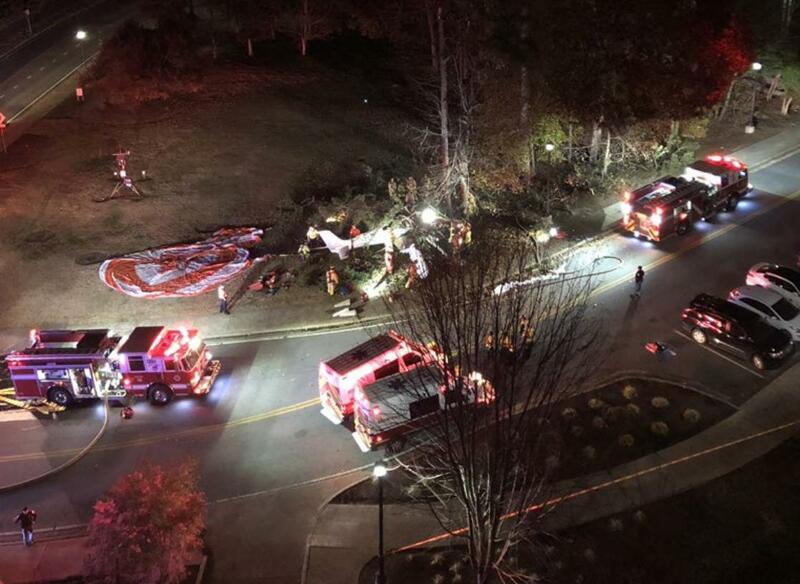 KENNESAW — The location where their plane went down and the aircraft’s deployed parachute may have aided in the survival of two men in a crash on the Kennesaw campus of Kennesaw State University Thursday night. The Cirrus SR22 had deployed the parachute before crashing onto a grassy spot on the university campus, according to Eric Weiss, spokesperson for the National Transportation Safety Board, which is leading the investigation into the crash. 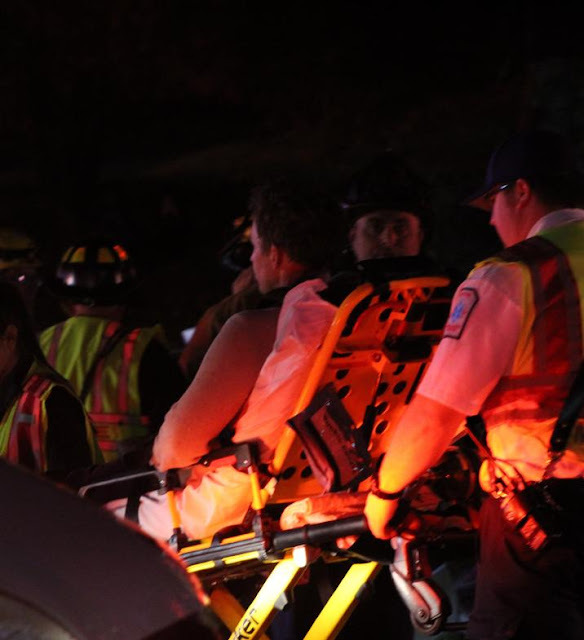 Neither federal nor local authorities would release specifics on the men involved in the crash, although local authorities had been on the scene of the crash Thursday and at the time reported they had been alert, conscious and speaking to personnel after the crash before being taken to WellStar Kennestone Hospital in Marietta in stable condition. The aircraft originated from Omaha, Nebraska, and had been heading to Fulton County Airport-Brown Field before experiencing engine failure, Cobb Fire spokesperson Denell Boyd said Thursday. As the crow flies, the path between the plane’s departure city and destination would be a straight southeasterly shot, but the plane seemed to be pointed in a more easterly direction where it landed on the KSU campus — just off the intersection of Campus Loop Road and Bartow Avenue on the west side of campus. Hitting the ground near the university’s Visual Arts building, and across from the Social Sciences Building on the opposite side of Bartow Avenue, both Weiss and KSU officials said no structural damage to any buildings had been reported. 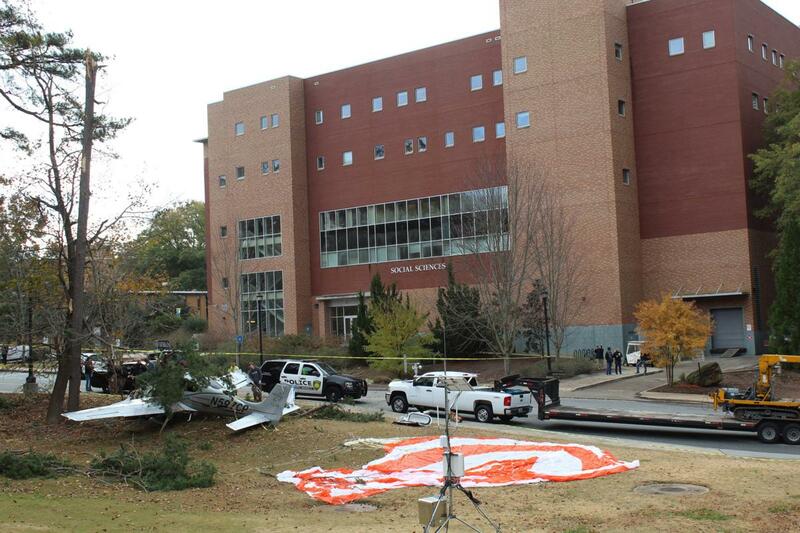 Damage from the scene Thursday appeared to be limited to trees near the Visual Arts building. Campus operations were not affected Friday beyond Bartow Avenue being closed to traffic, but by the afternoon, the road had been reopened, KSU spokesperson Tammy DeMel said. The plane was removed from campus by those involved in the investigation early Friday afternoon, DeMel added. The NTSB’s initial information released regarding the crash does not detail what direction the plane may have been traveling in at the time of the crash, Weiss said. 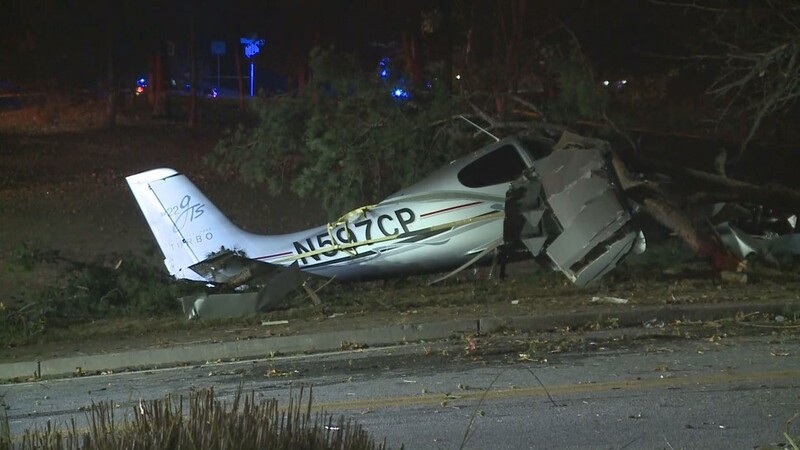 It also did not have any details on air traffic control communications the plane’s pilot may have had with nearby Cobb County International Airport-McCollum Field in the minutes leading up to the crash. Federal investigators have not released any written details on the crash, with Weiss saying that a preliminary report on a typical crash would likely be completed within 10 business days. “(That report) won’t have anything about the cause — it’ll just have what preliminary information we received: where it was going, when it was going, details on the crash site, the wreckage, the damage,” Weiss said. A factual report once most of the investigation is done will follow, with a final report detailing the probable cause of the crash, both of which may not be completed for months. The NTSB’s website said it may take 12 to 18 months to determine a crash’s cause. 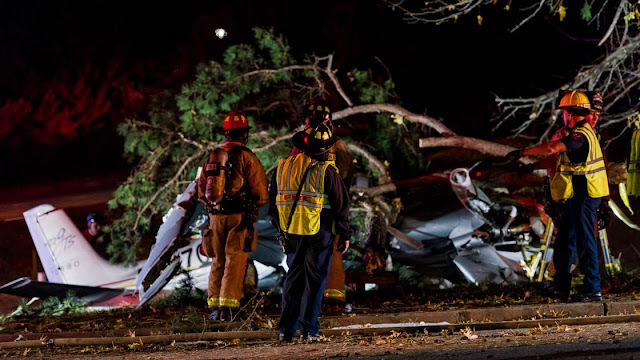 Investigators will focus on three main areas — the human factor, machinery and environmental conditions — according to Weiss, who added that the NTSB’s initial information Friday did not detail the weather at the time of the crash. Conditions at McCollum Field at 6:48 p.m. — just minutes before the crash — were reported by the National Weather Service to be overcast with a northeasterly wind of 5 mph, with the temperature at 52 degrees and visibility at 10 miles. Boyd had said Thursday that she and other first-responders were “grateful” that no one was killed or seriously injured in the crash. KENNESAW, Ga. (FOX 5 Atlanta) - Two men were recovering late Thursday night after their plane crashed onto the campus of Kennesaw State University. It happened in the area of Frey Lake Road at Campus Loop Road. 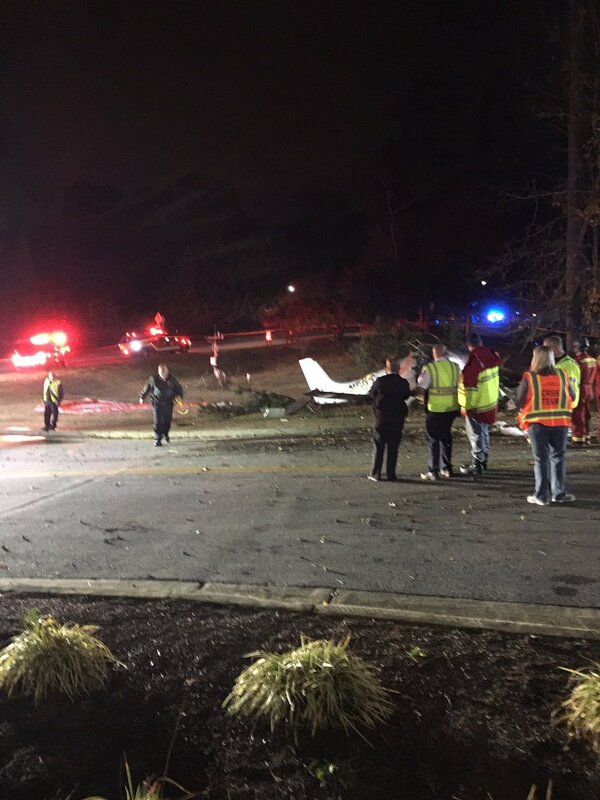 The FAA said a Cirrus SR22 aircraft was involved in the crash around 6:50 p.m.
Cobb County Police said the two men were transported to an area hospital for treatment but were talking with emergency workers when they were pulled from the wreckage. 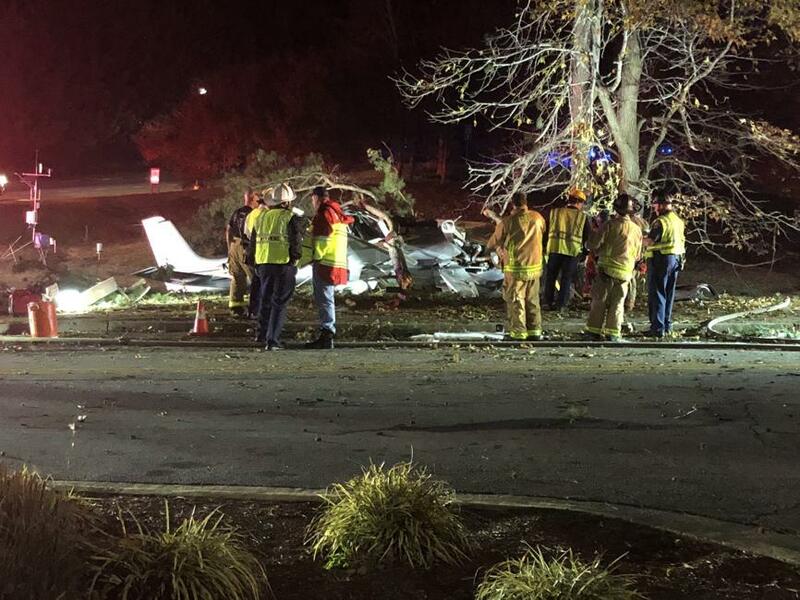 Authorities said the plane was headed to Fulton County Airport-Brown Field from Omaha, Nebraska. Initial indications point to engine failure as the cause. "We were actually just getting out of my car and heard a loud noise and we turned around, saw a little flash of light, so we were really confused," Kelly Kozusko told FOX 5's Marissa Mitchell. "I thought it was a bottle rocket or something like we didn't think anything major of it just, it scared us so but we didn't think it was anything this crazy." "What I heard was a loud crash, you know, I thought it was a gunshot, so I locked all the doors and then I started to hear sirens which got me really worried," another witness who lives nearby said. "It was close to my house and it could have crashed on my house with me inside." "My first thought was like a gunshot kind of sound like a giant explosion kind of sound like I don't know, it just sounded very loud and explosive. and we turned around and we saw like an arch and a light," said KSU student Imani Francis. Campus officials said no one on campus was hurt and the crash will not interfere with school operations Friday. The campus is located about two miles northeast of the Cobb County International Airport and 18 miles north-northwest of Fulton County Airport-Brown Field. Michael Phillips, who owns his own photography business, arrived at the scene shortly after the crash and started to take pictures. He shared those with FOX 5 News. Something's up with these birds. It seems commonplace now to see them drop from the sky onto who-knows-what with their parachutes billowing in the breeze. Engine problems top the list of ailments (Though fuel, water, or other factors could be the culprits..) I'm not familiar with these new-fangled, carbonated airyplanes, but unless I miss my guess, they're motivated with big pony Continental engines. OMG. The sky is falling. Seriously? How many of these are pilot error? You have no clue. If you feel they aren’t safe don’t get in one. Rest of us will. Wouldn't be caught dead in a Cirrus. No way Jose. The original problem with cirrus pilots was their ego got in the way of using their ballistic chutes. At one time, 3 out of 5 fatals in cirrus would have been prevented if chute used. It seems these newer pilots are actually using the chute for what it was intended for. If doubtful, just look at how many cessna fatals could have been prevented by a ballistic chute. The unfortunate side to this are the ones who lost their lives using the chute when it had performance "issues" in the beginning. Blue side up. I'll take your word for it. I regard these planes as experimental types, rather than established--read tried and true--airframes like Cessna 182s, or Piper Comanches. In that realm (Experimental), accident rates are higher. You Tube features lots of videos of these planes floating down to impact parking lots or freeways, fields, etc. The novelty has worn off, but pilots who pull those chutes know the damage to the aircraft will be extensive, but souls will survive. I personally would not choose to deploy the chute unless the situation is extremely grave. The SR20 series ARE tried and true production aircraft. They are not experimental. In the absence of any scientific research, I don't recall ever hearing of an airframe failure in a Cirrus. Any engine failures are more likely due to fuel exhaustion. Regardless, if an engine fails, it's not likely due to the basic aircraft design. That parachute is a god-send. Many lives have been saved by that feature. Also, if you find yourself suffering from vertigo, or spatial disorientation, press a button and the Cirrus will fly straight and level. It's a great airplane. 750 nm. What’s the range of a cirrus? As for the range of an SR22, it's 1000nm with 45min reserve. Of course that is without wind conditions factored in; a decent tailwind it's farther, less with a headwind, and pushing up the speed will yield less range as well. A glance at Flightaware shows the plane on a similar range IFR trip at 20,000ft so it's clear that the operator(s) flew the plane through its operating envelope. My reference to Tried-and-True planes means they've been in production and flying since before most of us were born. These new composite designs haven't been around that long, and when they were introduced, the planes were home built or concepts. My good friend is an aircraft mechanic. He worked for a company that modified and improved airliners. He has nothing good to say about composites. I never flew a Cirrus, or any other type of modern composite construction plane. I have seen quite a few of them on the news and on You Tube floating down under a parachute. Reading the NTSB reports on this plane, one gets the general impression that they've got teething problems. In other news, the cost of insuring a Cirrus Design aircraft just increased (again). amazing how clueless Anonymous is.. geez oh Pete.. clueless. Cirrus chute pulls are in the 80s and not one person who pulled within the working parameters of the chute has perished. and only one or two did not make it because the plane was in an out of control dive at 300 knots after being iced up. Literally 150 plus souls are walking around because at the time of an engine failure or spatial disorientation they had the chute.. bottom line.. safest plane on the planet. You have to be pretty stupid to buy a Cirrus. I went to the crash site the night of the accident, I do not believe they ran out of fuel, you can physically see it on the ground and smell it. That said if you look at data from Flight aware the last time that plane has been picked up on radar is from 3 weeks ago... I am not sure that it came from Nebraska. I could be wrong. now if he was out of fuel just know Cirrus aren't dangerous I just think pilots take bigger risks knowing they have a Parachute that will save them. that said a catastrophic engine failure doesn't seem likely it is a possibility but uncommon for this plane. im sure somehow this will end up being pilot error, guess we will have to wait and see.